The wistful, lovely sounds of modern machinery have long fascinated composers. Especially in the 1920s, the clanging of factories and the rumblings of engines permeated musical scores. Inspired by futurism, composers like George Antheil (in the Ballet mécanique) brazenly built the sounds of machines into their works. While this excitement about mechanical sounds has certainly suffused music of the later twentieth-century, it has gone far beyond simply imitating and reveling in modern noise. You could argue (as Flora Dennis and Jonathan Powell have in their Grove article on futurism) that movements like serialism and minimalism are related to the futurists' fascination with machines. But some music of the later twentieth century is cut directly from the same cloth as pieces like the Ballet mécanique or Arthur Honegger's train-inspired Pacific 231. Enter Leonardo Balada (1933-), who was born after the 1920s musical tech-craze but produced at least one symphony that could have fit right into that movement. 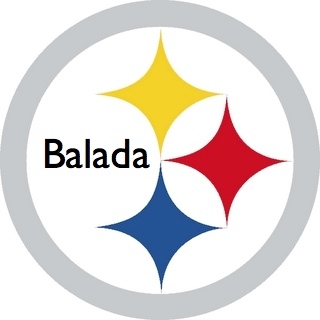 Balada, born in Spain, composed several symphonies and has taught at Carnegie-Mellon in Pittsburgh, Pa, since 1970. So it's fitting that he'd make one of those symphonies intimately linked to the industrial landscape of his American town. The Steel Symphony was premiered by Donald Johanos and the Pittsburgh Symphony Orchestra in 1973. And as the composer acknowledged in the liner notes for Lorin Maazel's 1986 recording with the same group (heard in the clips here), he used the sounds of local steel mills for inspiration. But I don't think futurism itself is dead. It's just taken on new forms. As this clip reveals, there's hope yet for the connection between music and machines.